You can’t predict when an accident will occur but you can be prepared. 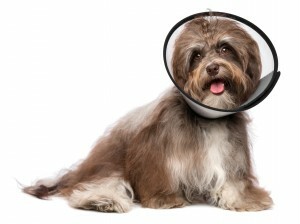 Accident protection is the core of most pet insurance plans and is one of the best reasons to get pet insurance. In the event of a stressful situation, pet insurance will allow you to focus on what’s important–caring for your pet, rather than being forced to make difficult and critical decisions based on finances. What does an accident insurance plan cover? Will my pet be covered? Insurance providers typically require a waiting period for most plans, usually about 2 weeks. The purpose of a waiting period is to prevent fraud. However, for accidents, some insurance companies only require less than 24 hours of wait time for coverage to start. One main exception to this is orthopedic conditions which will typically have a waiting period of up to six months. Generally, insurance plans will automatically cover accident related health care along with other types of coverage. However, many insurance providers will also offer an accident only plan, which is typically cheaper because it does not cover other situations like illnesses. The cost of accident only plans vary by pet insurance company and are dependent upon your pet’s age, breed and location. Many insurance companies will offer flexible deductibles, percentage of reimbursement, and maximum coverage amounts so that you can customize your plan to fit your needs. Customizing these features will allow you to tailor your plan to fit your monthly budget and lifestyle. Cats and dogs become more prone to accidents and illnesses as they get older. Start by getting a quote for your pet–the sooner you protect them with a pet insurance plan, the better prepared you’ll be to manage veterinary bills in the future.